Jimbo Scott and Bobby Jo Valentine at the Monkey House Theater! 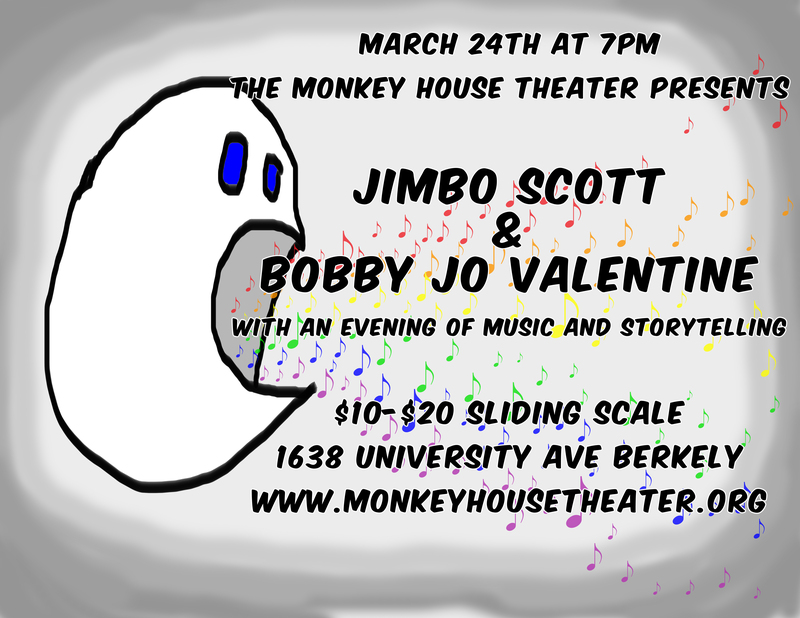 Join Jimbo and Bobby Jo Valentine at the Monkey House Theater in Berkeley, March 24th, 7pm! http://www.monkeyhousetheater.org for more information. 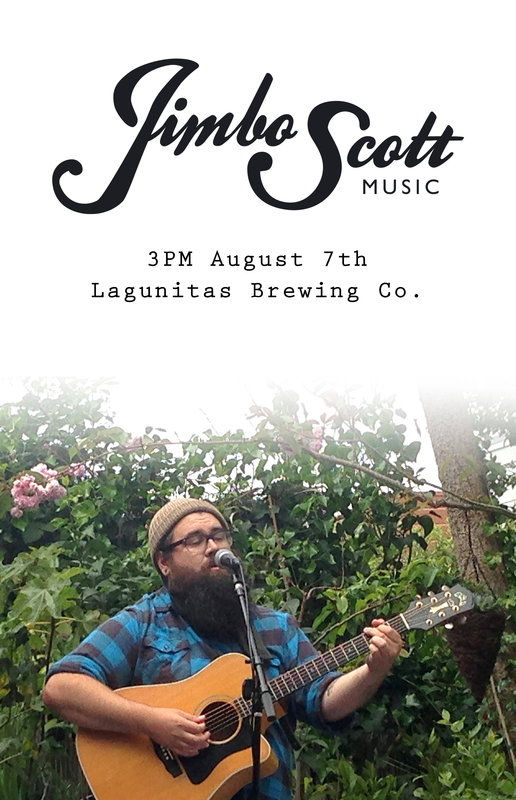 Jimbo Scott at Mare Island Brewing Co.
Jimbo Scott Music at Lagunitas in Petaluma Sunday, August 7th!!! Check out my new track, “The Parklands”. Inspired by the National Parks and other open spaces I visited on my tour last summer. The song was recorded in several locations, including a cabin in the Sierras and an electricians warehouse in Oakland. The track is now available on Soundcloud, iTunes, Spotify and an online music retailer near you. Please enjoy and share! 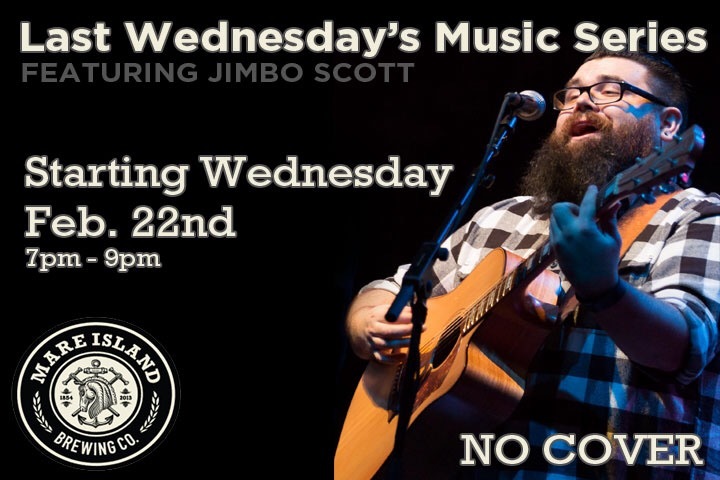 Jimbo Plays Lagunitas 8/29/2015, 3pm! 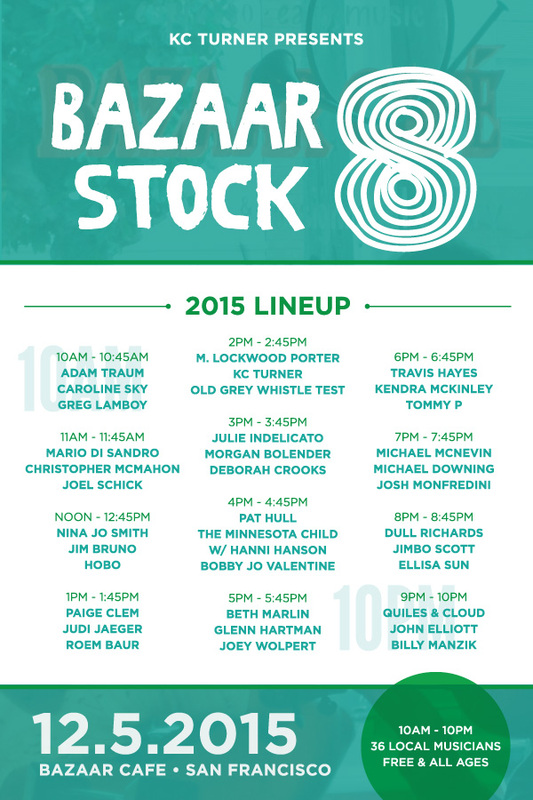 Jimbo is returning to the Folk Alliance International Conference in Montreal! So Many Shows in September! Playing a good one this Wednesday!! !